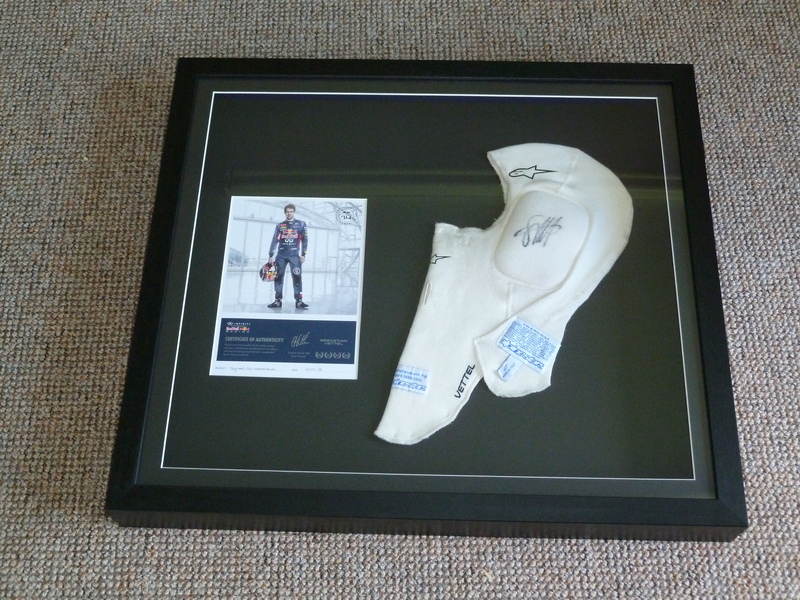 I was pleased to be asked to frame a signed balaclava worn by Sebastian Vettel in a recent Grand Prix. I used a deep frame with glass spacers to house the depth of the balaclava. 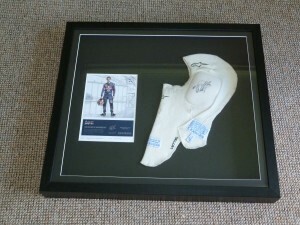 As you can see below the certificate of authenticity was mounted alongside. Then I added a shadow mount and glass. The framed balaclava was then entered into a charity auction where it fetched a high price. Many thanks to John Manchester of Zytek Engineering for this job! 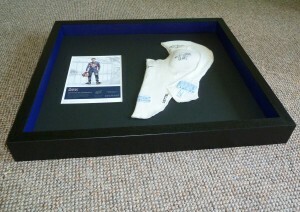 Posted in Studio News and tagged Derby picture framing, memorabilia framed., picture framer Derby.